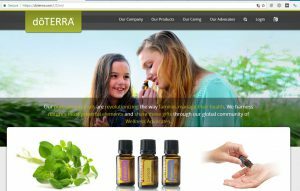 DoTerra Essential Oils Scam: Is This A Snake Oil Business? For those who are considering DoTerra Essential Oils as a business opportunity, you are in the right place. This article will discuss some of the major blinking neon signs screaming that this is the DoTerra Essential Oils Scam. I’ll be discussing the products from a business opportunity perspective, as well as the compensation plan and income disclosure statement. If you’re interest in the DoTerra business and want to know if DoTerra Essential Oils is a scam, keep reading. DoTerra was founded in 2008 and is based out of Please Grove, Utah. David Stirling along with several other former executives of Young Living founded DoTerra Essential Oils as a competitor to their former employer. They started the company with 25 single oils and 10 blends. These oils closely resemble some of the top brands of their former employer so there appears to be some bad blood between the two companies. As of 2014, DoTerra has expanded it’s product line to 150 products to include supplements, personal care items in addition to its essential oils. by a bunch of executives that had recently left Young Living which is another essential oils multi-level marketing company. Not surprisingly, there is a lot of resemblance between the products of the two companies. In it’s very short existence, DoTerra has grown very quickly. In 2016, DoTerra announced that they had over 3 million distributors. 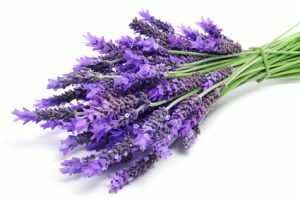 The Products: What are essential oils? Essential oils have been around for centuries. They are oils that have been extracted from a variety of plants. The oils are claimed to have a variety of effects on people to include psychological, physical and spiritual. Many cultures over the years have made use of essential oils. In recent decades, essential oils have increased in popularity. Currently on their website, I see 55 single oils, 45 blends and 33 other products listed under essential oils. Then they have another section for their many other products that they now offer. DoTerra claims their product is exceptionally high quality Certified Pure Therapeutic Grade essential oils. There are a couple of problems with this statement. The essential oils industry is not regulated. There is no certifying agency. There is no official definition of what Therapeutic Grade is for essential oils. Best yet, Certified Pure Therapeutic Grade is a trademark expression that is held by DoTerra. Since it’s held by DoTerra, only DoTerra can label essential oils with these words. The words have no scientific or certification significance but are a trade mark. Why would DoTerra chose these words as a trademark if they have no significance in the actual quality of the product? Maybe, they are trying to imply something about the product quality? Checking actual product reviews, the products are getting 4 to 5 star ratings on Amazon. DoTerra is a multi-level marketing (MLM) company. This is also referred to as direct selling. Their product is not sold through major retailers. They sell there products through independent contractors referred to as Wellness Advocates. 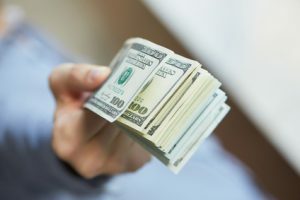 The Wellness Advocates earn money on commissions from the product that is sold and from commissions on the products sold by the people they have recruited. How the money is earned and how much is earned at DoTerra is discussed more in the next two sections: Compensation Plan and Income Disclosure Statement. The Doterra compensation plan is 2 pages. On the first page there are 3 columns. The first column is the retail profit. This is what you earn when you sell a product. With DoTerra, you earn a 25% commission on every product you sell. That’s a pretty good commission. Now remember what makes a MLM legal is the ability for every member to make money from selling a product. This retail profit is the only item in the compensation plan where you earn from selling the product. The rest of the earnings is for recruiting. The next item on page one is the Fast Start Bonus. This is intended to get you recruiting quickly. If you can start building you team within the first 60 days of enrolling, you’ll get an additional bonus. The third item on page one is the Power Of Three bonus. Again this is a recruiting bonus, that is intended to motivate you to build out your network at all levels. They want you to have at least 3 people at each spot within your network. Finally, we move to the second page with the Unilevel Organizational Bonus. Here is where things get complicated and your upline will twist things to make them sound good to you. There are 12 columns across the top. You start at the lowest level to the left and work your way up to the highest level to the right. You need to understand this when we look at the Income Disclosure statement in the next section. To the left you’ll see level 1 to 7 in a column. In the rows to the right of that you’ll see that the percentages going from 2% at level 1 to 7% at level 7. This indicates the amount you earn in commission from the sales of the people you recruit. So a person you recruit sells $100 in products, you earn 2% commission of $2. Now your recruit recruits another person. This person is now your level 2 so you earn 3% commission on their sales. That person recruits someone so that person is your level 3 so you earn 5% commission on their sales. This continues down to the seventh level where you earn 7% commission on their sales. This is backwards from how most MLM’s operate. I saw a video where a DoTerra rep was explaining how this is better than the other MLM. When you build out your down line it’s going to look like a pyramid. When you get down to the seventh level, there will be a lot of people at that level. The selling point of this plan is you are earning a lot more money because there will be a lot more people at that level. Sounds good and makes sense right! Then reality crashes in on you. 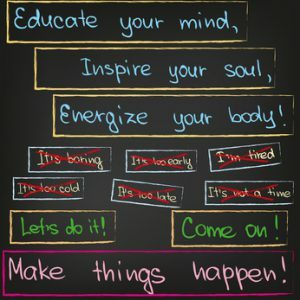 While you are in the early stages of building your network (i.e. pyramid), you’ll only have the first and/or second level of you network. This is when you most need the money and when you’ll be earning the least. Plus how many people are in the first level is where you have the most control. The people in the seventh level are the most distant from your control. This plan exaggerates the benefits of the people at the top of the pyramid and makes it even harder for new people to climb the pyramid. One of the most important things you can find about a MLM opportunity is the Income Disclosure Statement. Doterra has one on their website but they named is slightly different. Click here for the DoTerra 2016 Opportunity And Earnings Disclosure Summary. This summary is a 2 page document where the first page is most a sales pitch about how great DoTerra is. The important thing to note is the graphic to the right. They make the claim that 67% of their members only joined to get wholesale prices. This is important if you are considering joining as a business and build your network to get those big commission at that 7th level discussed above. This is telling you that 2 out of 3 people you recruit will not recruit other people because they only want wholesale prices. Again this is where that low commission on level 1 screws you over. Plus to build your down line you need to recruit 3 people to get one that will recruit other people. Of course doesn’t say this way, they put a positive spin on it. Let’s move on to the second page. Take some time to carefully read the first paragraph. They are talking about the first 4 level which is 17% of the membership. Remember this does not include the 67% that they already wrote off on the previous page. This 17% are people who are trying to run a business. These people are averaging between $350 and $1,370 per year. You are working up 4 levels in this business and on average you are still way below $2,000 per year. Not something I would want to do. In the same paragraph, it talks about two mid level earning on average $3,650 to $8,900. Now your at the 5th and 6th levels of your network. This is no easy task. 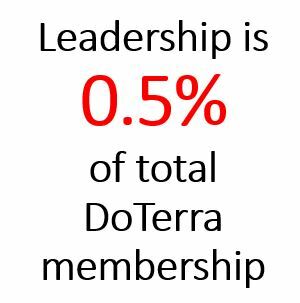 Only 4% of the DoTerra members are at this level. And yet, your still earning on average less that $10,000 per year. You can see a pretty significant increase in earnings from the first four levels to this 5th and 6th level. This is where that backwards commission plan starts kicking in. Now your earning 5% and 6% commissions on the lowest levels of your network. Are you ready to move on to that table that shows people earning decent salaries with a possibility of earning a million dollars per year? Well, that’s what DoTerra is hoping you will do and it’s what most people will do. Please stop and read the second paragraph especially the first sentence. The highest paying commissions are represented by the leadership ranks which is only 0.5% of the membership. So that pretty chart with it’s attractive numbers only represents 0.5% of the membership. That means of the 3 million DoTerra members, 99.5% earn on average less that $26,370. Also note that the majority of the earnings of that 0.5% are in the first two rows which is a middle class income. If you are dreaming of traveling the world, living on the beach or any other grandiose plans then your percentage is much much less than the 0.5%. Now DoTerra is not done on trying to trick you with the numbers. Take a look at the chart to the right. Note that it includes more levels than the chart to the left. Remember earlier we saw that the elite and premier were only earning on average between $3,650 to $8,900. Of course they lumped them together so you don’t know how much the elite are making. You can be sure it’s on the lower end of that range. Now looking at this chart, you see that the elite has 33,881 people which is the vast majority of people on this chart. Why would DoTerra put these two charts in here like this? They know most people will not read the text and most will only spend a few seconds looking at the charts. The chart on the left is cutoff at Silver because no one is going to be interested in joining a program that earns less than $26,000 per year. If you don’t read the text, you may think that is the lowest income level. The chart to the right is set up to look like a lot of people make this type of money. If they cut it off at Silver, it only about 7,000 people. At 49,000 it’s much more encouraging that this is something that can be done by any one. The crazy thing about this disclosure statement is that it’s totally factual but yet the optics can give you a false impression. If you read the document you’ll get the facts. If you scan it you may get the wrong impression of the earning potential. In 2013, Young Living sued for theft of trade secrets. With the move of several executives from Young Living to founding of DoTerra and the resemblence of the products this is not surprising. The products were tested and found to be different so the case was dropped. In 2014, the US Food and Drug Administration sent a letter warning them to stop marketing their products as cures for ebola, cancer and other diseases. A DoTerra representative responded that they are working to correct all marketing material. Is DoTerra Essential Oils A Scam? Unfortunately, there is no DoTerra Essential Oils Scam. I say unfortunately because they really are a scam but legally they are not. 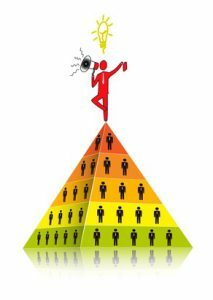 An MLM is a legal form of a pyramid scheme because the distributors can make money by selling the product without recruiting. To be legal the MLM needs to be focused on selling the product and not recruitment. You don’t need to believe me, check out what the Federal Trade Commission (FTC) has to say about MLMS, Click here. It’s pretty obvious from the compensation plan and the income disclosure statements that DoTerra is focused on recruitment. Their rapid growth in there short existence lends to this as well. With only 0.5% of the members earning a decent income, DoTerra Essential Oils is not a good business opportunity. If you are looking to earn money stay away from DoTerra. There are many better options than DoTerra Essential Oils. If you are interested in selling essential oils there are several companies that offer affiliate programs to include Amazon. With an affiliate program, you earn a commission for every product you sell and you don’t need to recruit anyone. Also the company offering the affiliate program handles the inventory, shipping, customer service, and payment. You sell the product and collect the payment and the affiliate company handles everything else. How do you get started in affiliate marketing? You could get started with trail and error. You’ll get frustrated and spend lots of money. Or you could start with some training that will lead you from the basic to expert. My #1 recommendation for affiliate marketing training is Wealthy Affiliate. Check out my Wealthy Affiliate review, click here. There are so many scams out there and I appreciate the information on essential oils. Amway was the first one I heard of, and before you knew it MLMs were everywhere. Have you done MLM and do you recommend any of them as legitimate? I know some people that hold MaryKay parties. That one seems at least interesting for women. Not something I would be a part of however. Amway is one of the largest and oldest of the MLM companies. I have been a member of 3 different MLM’s. Unfortunately, I didn’t learn my lesson the first two times. Amway was my first MLM. There are some MLM’s that are more legitimate than others. If the company and distributors spend most of these effort on the sale of the product then they are legitimate which is in line with the legal view of MLM’s. When the MLM company focuses on recruiting then they are essentially a pyramid scheme. I don’t recommend any MLM’s. There are much better business opportunities available such as Affiliate Marketing. I found this a really, really interesting article. Not because I am interested in selling DoTerra oils, but because I know so many women who DO sell them! I’m a SAHM, and in my “network” of other Mom-friends, there are so, so many who are all into DoTerra and pretty much claim essential oils are the answer to everything and anything. So, I read your article carefully and looked at the links – am I ever glad I didn’t get sucked into an MLM like this one. Wow. What ARE the chances you would make it past the silver level without completely annoying and sabotaging all of your friendships and family relationships because you push it so much LOL? If you make it to the silver level you have no family or friends outside of the network you have built. At Silver you have at least 3 down lines with 6 to 7 levels. My experience and research shows that typically you have to recruit 100 people to find 3 that will have some success building a business. So for 3 down lines of 6 levels is at least 18 people. Based on averages that means you need to recruit 1800 people to achieve that type of success. When faced with these realities, it’s easier to understand why less than 0.5% of the DoTerra members achieve the silver or higher levels. If people understood these numbers they would never join a MLM. I wish I had run into your website before I wasted money and time with an MLM for health products. In any case, among the excellent points you make the one that stands out for me is the emphasis on recruiting. The Best Case lure. My recruiter presented the very best scenario of top earners and suggested it would not be hard to be one of them. I would be provided with the tools to build my own team and thus make hefty commissions. The reality of course is unless you are willing to bug your friends and neighbors–something that most of us think is bad taste and ineffective–you don’t really have a large base of people to recruit yourself. I didn’t. The Social Proof Lure. The way this worked is that I was invited to a house party where I heard testimonials from people who were successful and making good money. Hey, one even threw in a little nugget about getting two free cars as gifts for reaching a high rank in selling. The suggestion, of course, was that I would also make quick money by having my own house party. The reality is that with a limited number of people to recruit the house party idea wasn’t going to work. It didn’t. I was expected to bring in a 100 people a month–that was going to happen. The bottom line is that you are doing a great service by pointing out the pitfalls of MLMs. I hope more people run across my reviews before joining these MLMs. These people recruiting for MLMs love to make it sound easy. When they are in reality working their butts of keeping their business above water. As the income disclosure statement showed, only 0.5% of the members achieve levels where they are actually earning real money. I’ve heard a lot about Doterra and none of them good, really glad you wrote a review on this! It’s hard to find evidence gainst them, they really know how to play on the fence. The best evidence against any MLM is their Income Disclosure Statement. They do their best to keep them out of sight. When you do get one, you need to read it carefully. Many times they write the statement in the hopes the reader does not understand or confuses them.